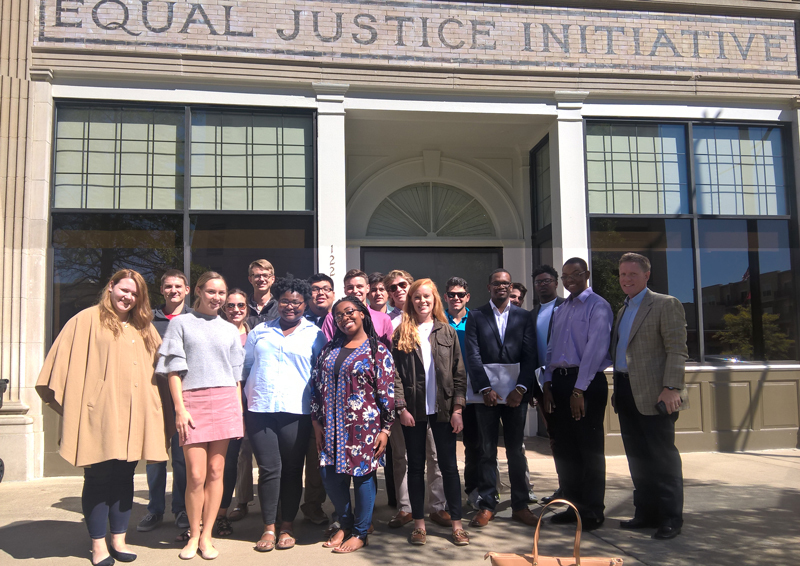 Students in Dr. Giggie’s HY 400 – Southern Memory: Lynching in Alabama course visited the Equal Justice Institute in Montgomery, Alabama on October 18th as part of their work to better understand and encourage awareness of racial violence during the post-Reconstruction era in Alabama. 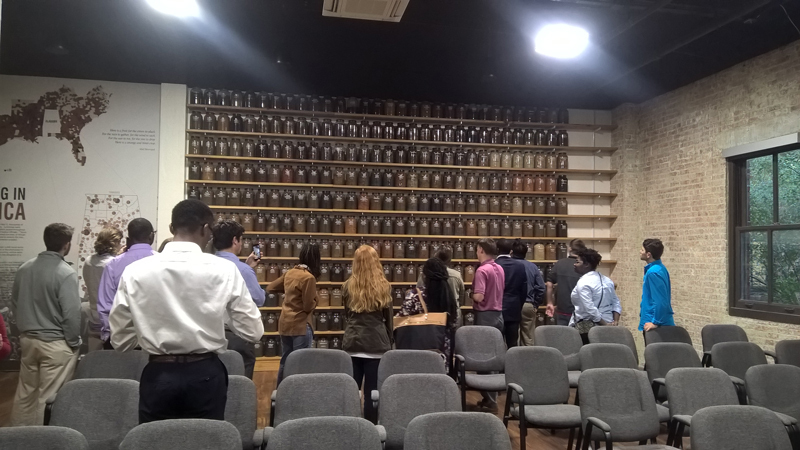 The students, who are researching ten African-Americans lynched in Pickens County between 1883 and 1933, presented their findings to the officials at EJI. The students have been working in a variety of sources – newspapers, journals, census, wills, deeds, birth and death records – to recover the lives of the victims. They are also building a digital humanities website meant to educate the public about these events and to serve as a database for other researchers. The students have previously worked with EJI to erect a memorial to these lynching victims in Tuscaloosa County, which was unveiled last year.